We interrupt our regularly scheduled program for a brief discussion of posterior tibial tendonitis in “Rheumatoid Arthritis” (RA) / Rheumatoid Disease (RD). There is a long list of topics I want to cover, but sometimes the RD itself pushes other things farther down the page. This week, I continued to have problems putting weight on my left foot for two reasons, the ankle, and some inflamed metatarsophalangeal (mtp) joints. “You’re limping worse,” the trustworthy podiatrist noted. I’ve never given a nickname to my foot doctor, but I’ve been with the same podiatry practice almost nine years. It was his partner that first identified my RA diagnosis – from my feet. I’m thinking Dr. Dependable would suit him because he says things like “We’re here if you need us.” And they do work me in whenever the RD makes my feet desperate. My ankle has been so painful it wakes me up at night. Then I can’t put any weight on it on the way to the bathroom. Some days it’s very puffy looking and other times there’s no visual satisfaction. Even then, trying to turn my foot inward is very painful. 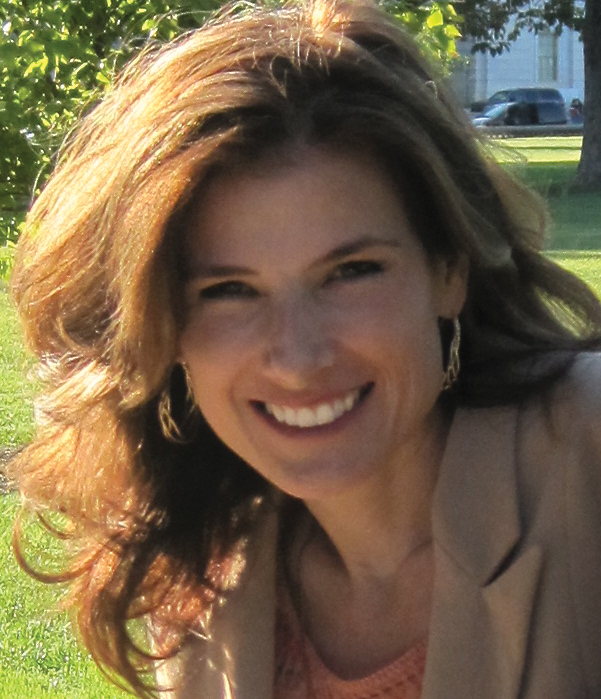 “I don’t know you don’t want to hear it again, but this is what happens in rheumatoid,” said Dr. Dependable. That was two days ago, and it’s feeling much better now. I have my bony ankle back and barely notice any lump under my foot, although a bare foot on a hard floor is still uncomfortable. 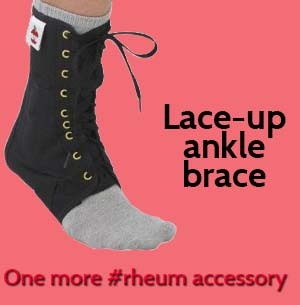 Doc recommended I also use a lace-up ankle brace when it gets inflamed, so we’ll see how that works. What about you? Has your ankle ever swollen on this side? Do steroid injections in your joints help? Do you ever wear an ankle brace? A prominent rheumatologist wrote to me a few years ago about RA that “Some few are crushed by it, some succeed and are happy in spite of it… it is difficult to have a chronic illness, and for some people it is too much to handle.” I didn’t fully agree with him because physical symptoms are sometimes perceived as personal weakness. Apart from pain, most people experience a loss of function that can be hard to comprehend… Click to continue reading The Pursuit of Happyness When Part of Your Life Is Called Rheumatoid Arthritis. Hang 10: Is the Jury Still Out on Rheumatoid Arthritis Feet? This is such an accurate description of my feet and ankles!!! Thanks for sharing!!!! I have this at the moment, feels like glass in my ankles. Getting steroids is a bit more of a mission in the UK on the NHS but I might try and find one of those ankle braces! Well I can honestly say, That I thought this was part of my “Imaginary” RAD. But I wasn’t sure at the time. I have been calling it the “balls of my heels”. I didn’t know what to call it. Yup both heels at the same time for over two weeks. Just walking on my feet hurt something awful. No matter what I did, they hurt. Sitting and trying to rest them levitated even hurt. I just did my best to ignore them in the end. Cause nothing I did would ease my pain. I have to say though, as soon as I started taking “Celebrex” the pain went down to an ache. Its still there, but not as bad. I experience that problem offen it just shows up with no injury to cause.I purchase the ankle Genie it helps some. One issue I have daily is with my hands the fingers lock up and aches same for my wrists. Any advice for theses symptoms. This past spring and summer I have been through the worst flare I have ever been through. I have been walking on broken glass for months despite DMARDs, Biologics and Prednisone. I finally started taking pain medication while I wait to see if my new biologic kicks in. It has been a horribly hard few months. 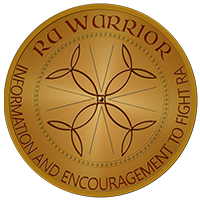 Thank you, Kelly, for once again helping me to realize that we RA warriors are not alone when we share our journey together. I had PTTR, or Posterior Tibial Tendon RUPTURE eleven years ago in 2003. Makes it so you are unable to stand on your toes on that foot, and your foot begins to collapse inward. If you do nothing you will eventually walk on your ankle. Supposedly the medicine Cipro can play a part in this. But I limped around for at least a year before going to find out what was wrong. This is a first hearing that RA can play a part. You can wear a brace, but I elected to have a Triple Arthrodesis, where they fuse 3 bones with cadaver bone. You can also use your own hip bone. I was in a cast, unable to put any pressure on the foot until the following year. You do lose your ability to rock your foot side-to-side, only back and forth, but you do get used to it. It did cancel ever being able to ice skate again, which I’d done on a regular basis from the age of 5. It does make you somewhat unstable on that foot, which is my right foot, on uneven surfaces. One can look somewhat tipsy, if your foot should hit something uneven, as your foot doesn’t have that capability left to right of stabilizing itself. I was given an Orthotic for my shoe, but was unable to walk across any hard surface without a shoe on. I decided this was not good enough for me, so I trained myself until I COULD walk on hard surfaces. And I wear no orthotic. I have a small calloused area on the bottom of that foot, sort of like a second heel. PS- I’ve had RA since August 1992, finally diagnosed in 1993. Thank you Kelly for bringing this up. My mother had severe RA and had horrible foot problems that doctors ignored. Now I am following in her footsteps (ha,ha). Most doctors have said stupid things to me such as did you try bunion pads or stop wearing high heels, etc. I’ve had about 12 surgeries to uncurl toes, fix bunions, remove bursa’s. I never wore high heels and only wear soft custom shoe inserts with athletic shoes. Despite all this, I can hardly walk. I have muscle cramps, pain, neuromas etc. You have made me resolve to find a new foot doctor who cares. Dismissiveness. My rheum doc during an appointment. While I don’t experience the same as you have described, I have significant issues with my feet/ankles. After dealing with sporadic ankle swelling for a few months, the swelling finally subsided prior to an appointment – all except one are about the size of a half-dollar. At the end of an exam I asked about the area. He dismissed it, saying it wasn’t a nodule and looked like a fat deposit. But, he examined my feet in the first two appointments – the next 2 years he has not taken my shoes or socks off to see what my feet look like. Great article. I unfortunately have the visible proof of what RA can do to joints and bones in your ankle and foot that have been broken in the past. After postponing surgery to repair damage in my foot and ankle due to bones in my foot that were broken and because of the way my bones looked on the Xray, the break was missed and wasn’t treated for at least 6 or 7 years until the pain and the constantly limping on my foot which in turn causes people to ask about your injury which isn’t a bad thing but then it leads to me explaining that I have RA. I say that to say when the orthopedic surgeon started repairing the damage to my ankle and foot involving screws and some fusion of joints, the surgery took 4 hours instead of an hour. I think my orthopedic surgeon, who I have the upmost confidence in, didn’t realize how severe the damage was and neither did I or I would’ve elected to have the surgery a few years earlier. I am finding that the Raynaud’s Syndrome, which I’m told is an autoimmune circulatory disease, that is common in RA patients is worse in my damage ankle and foot and because of the RA and the RA meds I’m taking to slow down the disease the recuperation process has been very lengthy. I never really realized just how much pressure and stress we RA patients put on our feet and ankles, and I personally feel like the visible damage in my hands and feet define me as a RA patient which isn’t a bad thing and thanks to the RA Warrior website, I know I’m not alone in this fight to overcome the challenges we have on a day to day basis battling the disease. All right, this is spooky. I am currently in week two of recovery from surgery to repair my torn posterior tibial tendon, which is the end product of RA + backpacking 650 miles on the Appalachian Trail this past spring. I, too, ended up hobbling around on it for months, because I assumed it was some weird RA thing. Of course, when my rheumatologist saw it, he told me otherwise, and didn’t say anything else – no advice, no “there, there”, nada. If anything, he gave off a smug vibe of “told you so”. He never believed that I would actually make it very far on my hike. I was lucky enough to find really good podiatrists, who last week did a tendon transfer from my little toes to fix it. In all of this brouhaha, nobody except the podiatrist mentioned a connection between my injury and the RA. I can see that I will have much research to do while I’m on the couch for the next three months. Thank you for this blog. It’s good to read that others are going through the same thing. Thanks for sharing & congratulations on your extraordinary hike! I’ve been on parts of the AP – so beautiful. It seems like with the rheum disease causing it to be inflamed, the tendon is more vulnerable to injury. I’m glad you got such a good fix. 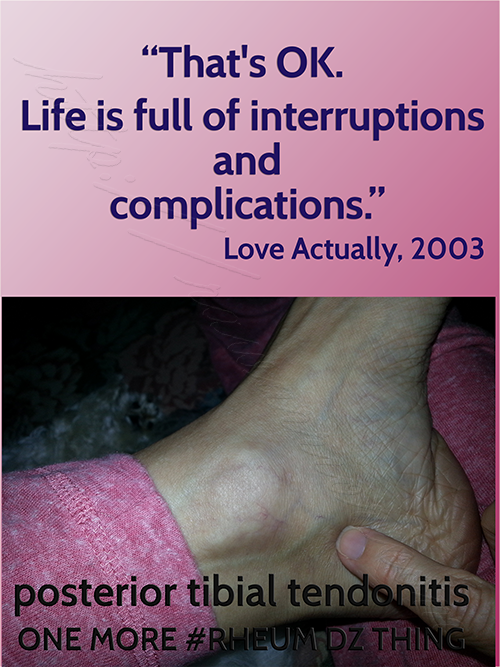 The amazing thing is so many of us have these sort of “sprained ankle” injuries while not hiking but just lying in bed – and the rheumatologist still don’t recognize it as being connected to the RD. Very similar to RD in the vocal cords and many other things. Why is there such a disconnect with rheumatologists? If they are the “go to” specialists for us, why are they not more aware, more educated (continuing ed/certifications), more open to connect the symptom(s) to RD? Erika, I have also had the same surgery almost two years ago. Just wanted to wish you the best in the recovery process. It’s a difficulty surgery and recovery so don’t push it and take the time to let everything heal. It is worth it in the end but it takes about 18 months to see the full benefit. Oddly enough I have this right now. Cortisone shot (under ultrasound guidance) on Monday. Not looking forward to more pain! I know we’re all different Anne. But the shots don’t seem to hurt as much as the RD, and then they bring improvement. I hope it goes ok for you too. I’m so glad to see this post Kelly. 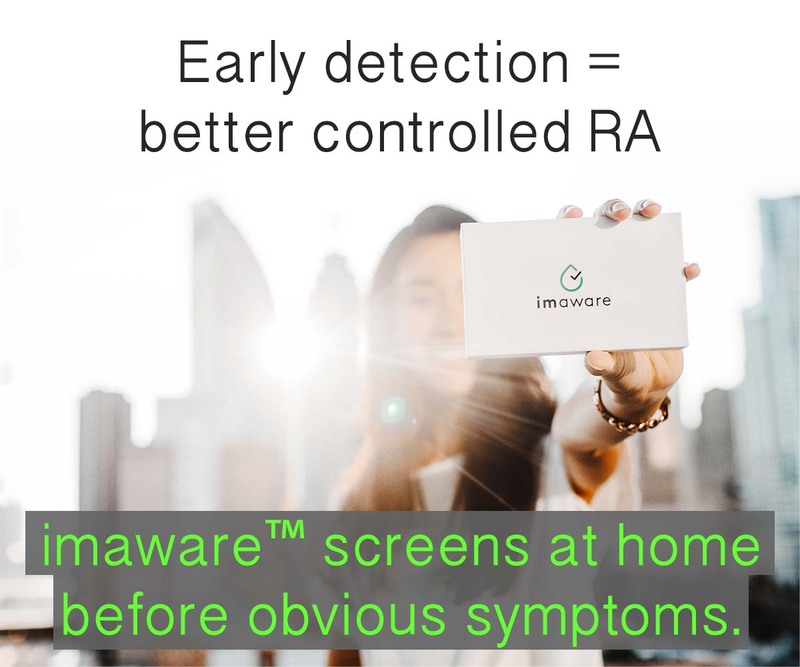 I was “officially” diagnosed with RA in February of this year, but as most, have had weird symptoms for many years. My diagnosis came as a result of my recent orthopedic foot problems, as you have described perfectly. I also had posterior tibial tendonitis that would not resolve despite therapy and custom made braces for my leg/foot. After a year, the tendon became severed in multiple areas and I, like Erika, had the surgical repair and tendon transfer. It is much improved after almost 2 years post op, however I now have the tailors bunion issue due to the realignment of my heel to alter the way I walk to prevent further injury to the new tendon. Just one word of caution for all of you with a similar issue. I had gone to a podiatrist initially who injected the tendon area with cortisone. Of course it helped but not for long. When I eventually went to the orthopedic surgeon, a well recommended foot specialist in our area, I asked for another cortisone injection. He said that they do not recommend injecting the tendon as it increases the likelihood of a rupture. I spoke with a few other drs after that and heard the same thing, so just use caution if you are being told that cortisone injections is ok for the posterior tendon injuries. You do not want the tendon to tear as I can assure you the surgery to repair it is a long recovery process. Hi everyone. It’s wonderful reading everyone’s posts, and knowing that my symptoms are actually real and not a figment of my own “Hypo-condriact delusions”. I made a mention earlier about seeing very first podiatrist ever. I was a bit embarrassed as I’m only 3rd old. My podiatrist called me yesterday and on a Sat to tell me that there is definitely something going on with my feet. As he noticed some slight spacing to go with my “Plantar Fasciaitis and Over pronation of both feet”. He believes it’s RA as there is no sign or OA anywhere in my foot XRAY scans from last week and says that there is definitely some biomechanical issue going on with my feet. Yet the new Rheumy I just saw Fri..doesn’t think it’s possible that my feet issues are caused by RA as he believes my issues are from Fibromylasia. It’s so upsetting when doctors look at my age and constant weight of 160 for a steady 7 yrs and think it’s FMS. My podiatrist doesn’t agree with my new Rheumy saying that it was impossible my feet issues are from RA. I have since asked my podiatrist to do ultrasounds on both ankles and feet. He doesn’t believe the scans will find anything…I told him though, “I want to cover all my bases”. It’s promising to know that this Podiatrist believes I have RA when no other doctor does. Now if only he could speak to my new Rheumy, “Dr.Mustache” and get him to open his eyes. Rosy, you are not a hypochondriac. These are the exact issues that led me to visit a podiatrist, who figured out that I didn’t have a “foot problem,” but rather an auto immune issue. Fortunately, I know I have no other disease, so based on our common symptoms, I’m pretty sure this was the RA. P’s. *I’m only 34 yrs old. Lol typing from a cell phn stinks, as does the auto correct. Another reason this doc thinks I have FMS is because my skin is so very sensitive to touch. Just a gentle poke hurts in spots poked…I get bruises sometimes and I don’t recall bumping into anything hard. Or that my hands and legs go tingly at times. Then there is the docs misleading survey of what hurts. Does left lower arm hurt…does upper arm hurt…does lower leg hurt…does upper arm hurt…on and on for both sides of the body. The survey should actually be a picture of a person so you can circle which parts hurt. I checked off most of these for a seven day span. Thinking of lower leg meaning my ankles and feet. Upper arm meaning my elbows…lower being my hands and wrists. He tells me I couldn’t possibly have all of these aches. I checked off 22 items instead of the normal..what 18? But in my own defense again the survey was very misleading. Then the “good” old doctor made me write a small sentence saying that if he gave me a full body scan and the result showed nothing that I would have to agree that I have FMS. I wrote it as it was the only way to get help…but I tell you what…I will never agree “EVER” to me having FMS and or being bullied into signing something ever again. I think I’ll referred to him as “Dr. Bully” from now on. If I have FMS, it’s only because it comes with something else…something that may be destroying my body. I will “not” give up fighting and looking for answers!! No matter who may think I’m crazy looking for proof. Proof that I have some type of autoimmune disorder!! The pain was only in one foot and was primarily on top and along the inside side, but it was still unbearable. My primary doctor couldn’t figure it out because the pain was in an unusual place. On some days I couldn’t stand to even have a sheet touch the top of my foot. After your article, I finally sought out a podiatrist who came up with the same diagnosis and said it is very common both with RA and intake of Cipro. Since I’ve been on Cipro often due to uti’s and have RD, it’s probably a double whammy. So far he’s given me a boot and orthotic, but he says I’ll have to wear a specially made brace for the rest of my life. Can’t say that it’s done much for the pain, but I’m hoping. I was having extreme pain on the top of my foot too. And like you, couldn’t tolerate even a sheet touching it. My rheumatologist x-rays my hands and feet every year to chart any changes. Last year he told me that I have almost no cartilage on the top of my foot so when I walk it’s bone-on-bone. I had a cortisone shot that gave me some relief but it only lasted about two weeks. I’ve been on Remicade infusions for four years, but since my diagnosis wasn’t made until I was in my late 50’s, the damage was too far gone to ever be reversed. If I’m going out for any reason, errands, groceries, etc. I take a Hydrocodone about one hour before I leave and it enables me to walk the rest of the day with almost no pain. Without that medication I’d never leave the house. Some people are afraid to take this med but if one follows the doctor’s instructions it can be easily managed. I was originally prescribed Tramadol but was hospitalized three times before it was determined that it was interacting with an anti-depressant I was taking. The Hydrocodone was prescribed next. If you aren’t on a prescribed pain killer I recommend that you discuss it with your doctor. It has helped my foot pain immensely. Inflammation in my Tibial tendon was one of my first symptoms, months before going into my first flare. Back then, I got it twice while exercising. Nowadays, I get it very often by just walking. The podiatrist I saw was the one who figured out I have RA. He recommended physical therapy to deal with all my leg and foot issues, and highly stressed the for orthopedic shoes. He really seemed know how to treat me, yet he had to refer me to a rheumatologist, who saw me for over a year before referring me to a physiotherapist, and only because I demanded physical therapy to remain active. It’s so frustrating to see our own “specialists” not listen to us. I’ve experienced this and the compensatory injury of hip bursitis when posterior tibial Tendonitis required me to turn my foot laterally in order to walk. My rheum (at the time) was a jerk and did not acknowledge, much less offer any treatment or suggestions for home care. Luckily, I’m retired now (thank you Jesus) and no longer required to run up and down halls. With regard to Nancy’s comment. Sounds like you are serotonin sensitive. Any SSRIs co administered with Tramadol will do this. I think a lot more people experience this than we realize because they just chalk it up to RA and side effects of meds. Doctors should recognize the interaction but they don’t. The medical community is so hell bent on keeping people off narcotics (rightfully so) but there are many other things that medical community fails to address, such as the assessing hormone levels such as testosterone (important in women as well) but opioids deplete testosterone and opioids like hydrocodone need receptor sites to bind to. Testosterone levels diminish over time, but glucocorticoid steroids also tax the adrenal glands and thereby further reduce testosterone levels. Viscious cycle. I also take hydrocodone and tramadol now and it is effective for foot pain and walking. But they are always trying me on “new” pain meds, all of which, are SSRIs like tramadol. I can take tramadol but not coupled with another SSRI. I guess my next question would be does tramadol also require opioid receptor sites to bind to? If so, then everyone should be tested. What do you mean, “what do I think”. I am desperately trying to find out how I can stop the foot pain at night, it’s bad enough to cope with RA without losing sleep half the night. Where can I talk to other patients, I need a Support Group (online). I live in San Juan Capistrano. Help! Thank you. My Feet are the reason I’m at home, and not currently working. Thanks for mentioning this issue. I, too, have PTT and though my JRA (now an adult) is in remission (according to labs) I have a lot of tendon trouble. I have recently been diagnosed and it started in my ankle/heel. On methotrexate and humira for almost 3 months. Had to go off prednisone, I wasn’t nice to be around. Having to charge the area of nursing I do because of the pain when walking. Now I have excessive facial and head sweating. Agh! I am in misery with posterior tibial tendon problems. Mad, sad, and Cried today about not being able to walk without pain. I had went to the doctor over 8 months ago. He said I had a chipped bone, plantar fasciitis, and posterior tibial tendon, with a lot of ankle capsules ruptured. I had surgery for plantar fasciitis, but the rest of the problems remained. I cannot remember why he said only one he is addressing, so I wrote him tonight to remind me. Thank you for letting me vent to the choir. It is so frustrating to have pain and functional issues but rheumy kind of shrugs as if to say “not my problem”….if it isn’t joint-related or directly related to RA he shrugs and moves on. I’ve had trouble walking (I have plantar fasciitis and wear custom orthotics always) the past couple months. After examining my ankle he pronounced that it may be a tendon issue. Since my hand/wrist/finger joints were “fine” he gave me refills for plaquenil/methotrexate/folic acid and dismissed me. A google search indicated that this ankle tendon issue tends to be experienced by middleaged/obese women. FFS…I am 57 so past middle age and admittedly I am very overweight (hello! If I could actually move perhaps I’d get back to my old slim self). So frustrated. Seeing family doc on Monday and will contact physiotherapist then. Physio lady is a godsend, I would never have been diagnosed if not for her. She is almost psychic about what ails me.